But just before we talk about concrete solutions, we should once again deal with the change itself: The customer journey is getting more complex. 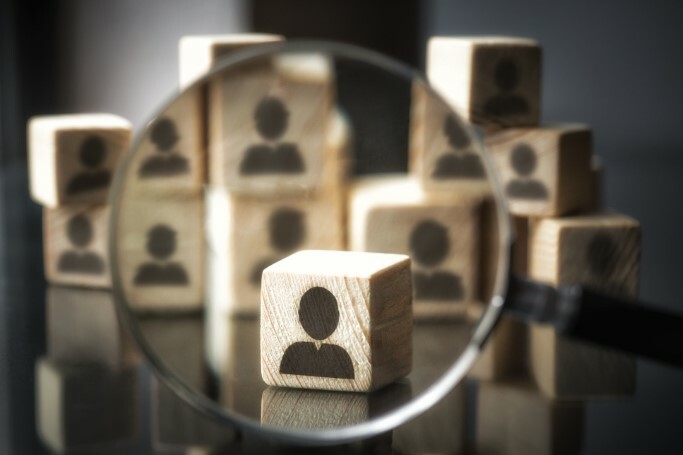 The points of contact between consumers and businesses are multiplying, and that can lead to some data chaos on one side and disappointed customers with high expectations on the other. How can retailers and manufacturers meet these challenges? In order to attract and retain customers, it is now imperative for companies to establish strong customer relations via digital channels and to offer high-quality experiences. In fact, studies such as those by Walker show that in 2020 the customer experience will be the most important differentiator between brands and providers. The technologies continue to develop to bring more speed, flexibility, and efficiency to all processes. This allows companies to react nimbly to the changing requirements. But what does that mean? That it’s imperative for companies to have a sustainable digital strategy! On-premise solutions are changing cloud-based solutions, and new software architectures based on microservices and flexible APIs (like headless) are emerging, as these technologies enable cross-channel, scalable and individually relevant shopping experiences. DXP: Best of breed or best of suite? In this context, companies can choose from two different software approaches to design digital customer relations. Two options, kind of a dilemma, because what’s better: Best of breed or best of suite? While in the former approach, systems of different specialist providers are linked with one another based on interfaces, everything comes from a single source in the second approach. Specialised providers are increasingly integrating DXP capabilities into their solution: For example, more and more PIM providers such as contentserv are focusing on creating unique and in-depth product experiences and delivering appropriate platforms (PXP). In best of breed, such special systems can then be linked to other systems. But when it comes to creating consistent and uniform customer experiences across all touchpoints, a best-of-suite approach is often more appropriate. Who are the leading providers and why? DXPs bring all the required functions (CRM, commerce, marketing, and services) to help retailers, manufacturers, and brands build a viable, customer-centric system landscape. The biggest providers of such technologies are Salesforce, SAP, IBM, and Adobe. For some time, they’ve been expanding their offering thanks to strategic acquisitions, which makes it harder to make the right choice. Let’s take a closer look! Founded in 1999, the software vendor is one of the cloud pioneers in the market, revolutionising the way CRM is used. Today, the US-based company employs approximately 25,000 people worldwide. Salesforce‘s goal is to provide a comprehensive digital experience platform with a high functional range. In recent years, a lot of vendors have been bought and integrated into the Salesforce portfolio, including Krux’s data management platform for marketing, Demandware (B2C), and CloudCraze (B2B) for commerce. With its current portfolio, Salesforce has one of the most comprehensive solutions on the market. Similar to the German giant SAP, which we will be looking at, Salesforce still lacks a strong CMS component. Even the topic of product data management is not perfectly covered yet. However, the Salesforce Customer Success platform is interesting for both small and large companies and is suitable for use in both B2B and B2C. In addition to the well-known strengths in sales, marketing and services, Salesforce also includes tools with artificial intelligence (AI) with the Einstein program. So all in all, Salesforce is facing the German market leader SAP. SAP was founded in 1972 in Walldorf (Germany) and is considered the world’s largest manufacturer of business software. In 2013, SAP took over the omnichannel commerce solution Hybris. Since then, their strategic acquisitions have radically upgraded supply to the cloud and big data to create holistic customer experiences. PCM offers SAP fundamental solutions for content and product data management. And SAP also has an intelligent system for cutting-edge technologies such as AI, the blockchain, and big data: It’s called Leonardo. The customer engagement solution is similar to Salesforce. SAP was particularly successful with its ERP solution and focused primarily on IT managers. The new brand orientation of the SAP Customer Experience Cloud addresses CDOs, CMOs, and CSOs. IBM was founded in 1911 in Armonk (USA). The US company is one of the most well-known IT companies and employs more than 400,000 people worldwide. Since 1996, IBM has also positioned itself in e-commerce with the WebSphere Commerce solution and is one of the market leaders here. IBM provides DXP functionality through the IBM Digital Experience Manager in conjunction with the IBM Watson Content Hub. IBM offers a wide range of DXP features that support a variety of industries and use cases. IBM’s DXP is a strong choice for customers who already have IBM software and want to move their IBM software to the cloud. IBM is also suitable for new customers who are ready to grow with the product toolkit when it matures. In addition to commerce, the first-class AI offering is IBM’s strength. IBM has the most experience here. IBM Watson distinguishes itself not only by the performance of the competition but also by the openness. The intelligent IBM solution is an API-driven ecosystem. Founded in 1982, the San Jose-based software company is a global solution provider in the field of digital marketing and digital media. Adobe has built a robust and broad partner network. With the acquisition of the leading open source commerce solution Magento, Adobe strengthens its position as a DXP provider. Adobe has brought its core service clouds (content, customer data, personalization, analytics, and Artificial Intelligence with Adobe Sensei) together in a single platform. For example, Adobe delivers a unified DXP offering through Adobe Experience Manager, part of the Adobe Experience Cloud (AEC). Adobe’s vision focuses on marketing and content, laying the foundation for any good customer experience with both aspects. Therefore, Adobe is a good choice for B2C but also B2B companies who want to focus on marketing and strong content engagement. However, a concrete CRM solution is still pending. It also remains to be seen how the integration of Magento will look exactly then. What pairs best with a DXP? Marketing automation. It takes all the stress of doing everything manually! 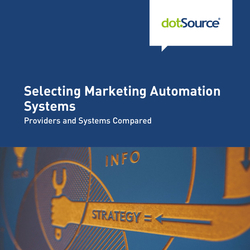 The advantages that these different providers offer for your own company (even in direct comparison to each other) can be found in our white paper »Selecting Marketing Automation Systems: Providers and Systems Compared«. We go into the basics starting with answering your questions about marketing automation itself and then move along to different providers and what they each bring to the table. You can download the white paper here for free. Or contact us directly to talk to one of our digital experts.